Our New Ship-thru Option on F-450/550/650/750. Landi Renzo USA is excited to announce our newest channel for customers to take delivery of a CNG vehicle utilizing Ford’s existing distribution network – Ship-thru for Natural Gas Trucks out of Ford’s Ohio Assembly Plant (OHAP). 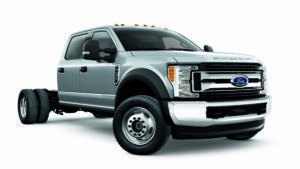 In collaboration with a Landi Renzo preferred ship-thru installer located in Avon Lake, OH, ordering a CNG equipped F450/550 or F650/750 Super Duty truck is a simple as selecting the ship-thru option on a dealer order form. https://www.landiusa.com/wp-content/uploads/2017/04/landirenzo.png 0 0 admin https://www.landiusa.com/wp-content/uploads/2017/04/landirenzo.png admin2017-03-17 11:57:032017-03-17 11:57:03What's Cheaper than a Full Tank of CNG? Washington, D.C. – NGVAmerica today commended the release of a new study by scientists from West Virginia University’s Center for Alternative Fuels, Engines and Emissions (“CAFEE”). The study published online by Environmental Science & Technology was supported by the Environmental Defense Fund and numerous organizations from the natural gas industry, including a variety of NGVAmerica members. Today’s natural gas vehicles provide significant environmental benefits including the lowest emissions of nitrogen oxides (NOx), particulate matter and other pollutants that directly affect public health. Additionally, the latest engines (which were not among those studied as part of this research) include closed-crankcase systems and other upgrades that optimize operation and increase efficiency. For these new spark-ignited natural gas engines, these changes have resulted in a more than 70 percent reduction in methane emissions compared to engines produced only a few years ago. The study found that emissions from natural gas stations and refueling infrastructure contributed less than 20 percent of the methane emissions examined. New technologies and best practices at CNG and LNG stations with dispensers, compressors, boil off gas management systems for storage tanks, and other equipment are lowering these emissions even further and the study provides a solid baseline to demonstrate future improvements. While the WVU study did not examine the increasing role of renewable natural gas (RNG), recent studies have found that RNG (captured from landfills, wastewater treatment and other sources) can reduce total greenhouse emissions by more than 80 percent. NGVAmerica estimates that 20 – 30 percent of all natural gas used for transportation is now low-carbon RNG. According to the Environmental Protection Agency, renewable natural gas accounts for the largest share of cellulosic biofuel currently sold in the U.S.
“NGVAmerica applauds the cooperative approach taken with this study and will incorporate its findings in the ongoing work of our Technology & Development Committee that is continuously evaluating further product enhancements and best practices,” said Godlewski. CAFEE scientists collaborated on the study with the Environmental Defense Fund (EDF) and a group of natural gas industry leaders including the American Gas Association, Chart Industries, Clean Energy, Cummins, Cummins Westport, International Council on Clean Transportation, PepsiCo, Shell, Volvo Group, Waste Management, and Westport Fuel Systems. NGVAmerica is the national organization driving the use of natural gas as a clean, domestic, safe and abundant transportation fuel. The organization represents more than 200 companies, environmental groups, and government organizations interested in the promotion and use of more clean-burning natural gas in transportation. For more information, visit www.ngvamerica.org. Landi Renzo USA, a Ford Qualified Vehicle Modifier (QVM), is pleased to announce the industry’s first natural gas EPA certification for the 2017MY Ford 6.8L V-10 Heavy Duty (HLDRE06.8B10) engine utilized in E-series trucks, including the E-450 Cutaway. 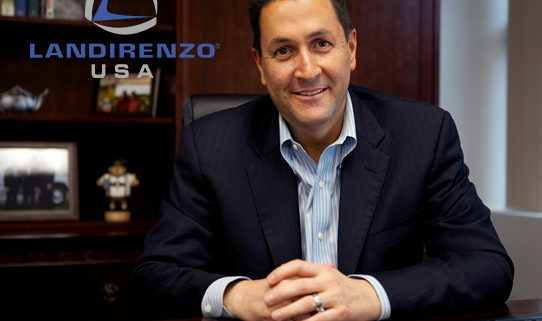 Andrea Landi, president of Landi Renzo USA, is a leader with a mission. Landi wants to make low-emission cars and small trucks the standard around the world, starting with the light- and medium-duty fleets of California. “California is the reference in the auto sector for clean emissions. All the work we’re doing here to bring our natural gas expertise to lighter-duty vehicles will, we hope, work for markets around the world,” said Landi. He believes the rest of the world is watching California, and his company’s engineers are focused on developing technologies to meet the state’s aggressive clean air goals. During Thursday’s ACT Expo in Long Beach, CA, Southern California Gas Co. presented Landi Renzo USA with their Clean Transportation Award. The award, presented to Landi Renzo USA President Andrea Landi from SoCalGas CEO Dennis Arriola, recognizes Landi Renzo for their continued market leadership in recognizing and adopting economical and operational benefits of natural gas as a fuel for vehicles. Landi Renzo USA would like to thank SoCalGas for this very special recognition. We look forward to a continued partnership and commitment to developing technology that utilizes the positive environmental benefits of natural gas as a vehicle fuel and further deployment of natural gas vehicles within their fleet. 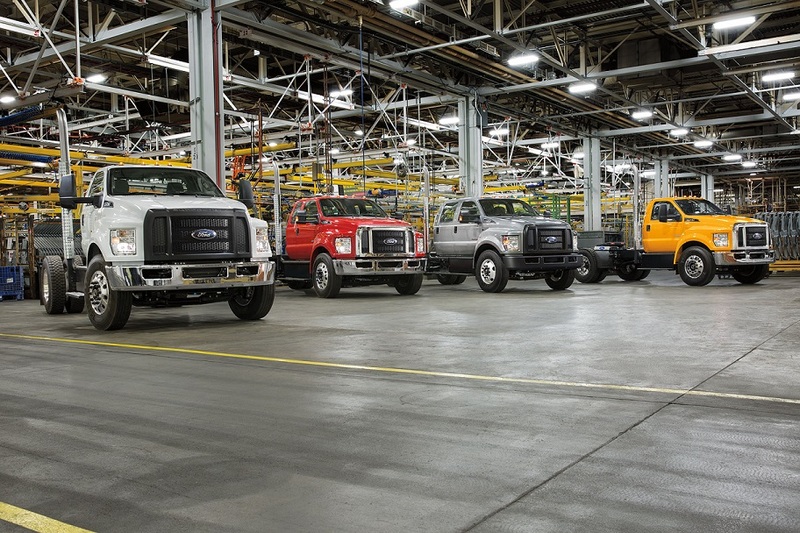 Landi Renzo USA, a Ford Qualified Vehicle Modifier (QVM), is pleased to announce natural gas EPA certification for the 2016MY Ford 6.8L V-10 Heavy Duty engine utilized in F-series trucks, including the F-650/750 and F-53/59 stripped chassis. Landi Renzo has maintained both EPA & CARB certifications on the Ford 6.8L 3-valve V10 engine since 2012MY. The most recent 2016MY EPA certification makes it the industry’s first dedicated CNG application for the engine test group GFMXE06.8BW6 under Ford’s gaseous fuel QVM program. With this significant achievement in hand, Landi Renzo anticipates a similar announcement in the coming weeks as it relates to successful pursuit of the highly coveted CARB certification for the same engine family. Continuing with a tradition of quality products available from Landi Renzo, our 6.8L V-10 Heavy Duty CNG system has been developed by some of the world’s leading alternative fuel engineers and is available exclusively through Landi Renzo USA’s ship-thru partnership’s and certified installation network. A startup food service, Big Green Q, has been able to acquire its first “catering kitchen” truck for food preparation and delivery truck through the state of Nebraska’s alternative fuel vehicle program. Compressed natural gas powers the truck’s engine and its kitchen equipment and power generator. The truck was built on a F-59 strip chassis with a Utilimaster box. It’s fueled through a Landi Renzo CNG conversion system with Hexagon Lincoln storage tanks.